Misc: Beachfront Residence with 870+/- s.f. 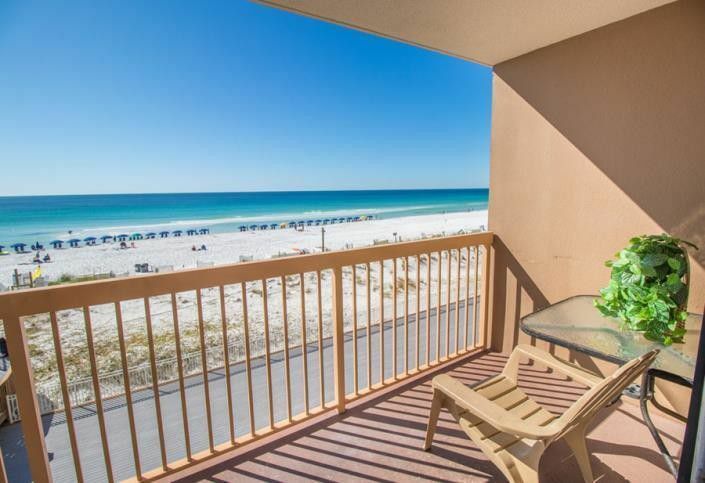 Destin FL beachfront condominium home for sale at Pelican Beach. Amazing views of the Gulf of Mexico and the white-sand beaches from this beachfront property situated on the 3rd floor. This location is convenient to everything and no waiting for the elevator. Parents love this location, it's ideal for those with small children. Updated granite counter-tops and stainless steel kitchen appliances are some of the amenities of this property, plus large tile flooring throughout. Rental income for this home last year was $32k+. Currently rented to happy snowbirds...come see this condo!! Destin on the Florida Panhandle is east of the Ft. Walton Beach, this semitropical climate makes the area a popular tourist destination. Approximately 50" of rain is received in the area each year, combined with the Gulf of Mexico, high humidity is the norm during the summer. Thunderstorms are a frequent occurrence in the summertime, but they are generally brief with sunshine quickly returning. A coastal community on the popular Emerald Coast, Destin Florida has a sub-tropical climate; Destin lies in the southern sub-tropical area of North America, where mild temperatures greet visitors year-round. Gulf breezes temper the typically warm and humid summer weather, with milder spring/fall days and calm winds in the evenings.